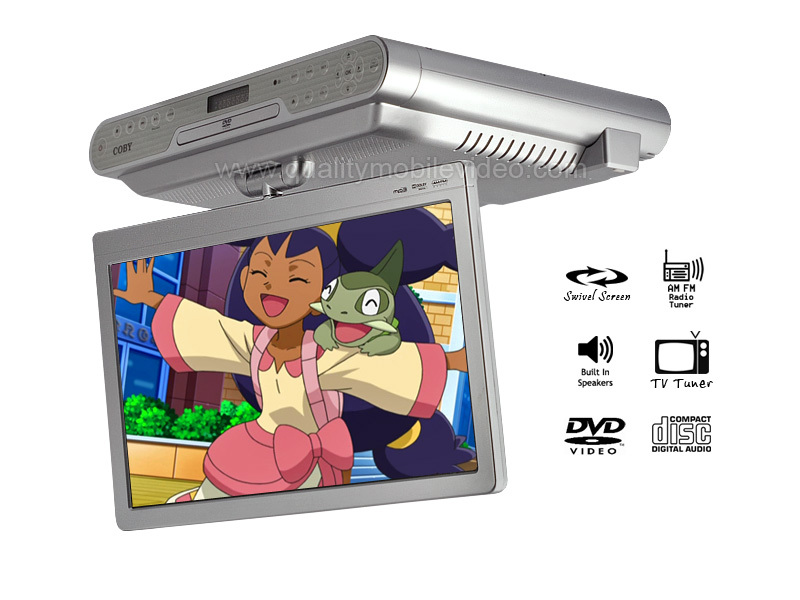 Some of the under cabinet TVs come with built in radios and players for both CD’s and DVD’s , hence once you get one installed, you can always watch and listen to anything you want. This also means that even as you prepare your meals, or clear the kitchen, you do not have to miss out on any shows you love since you can simultaneously watch and perform your tasks. 1. 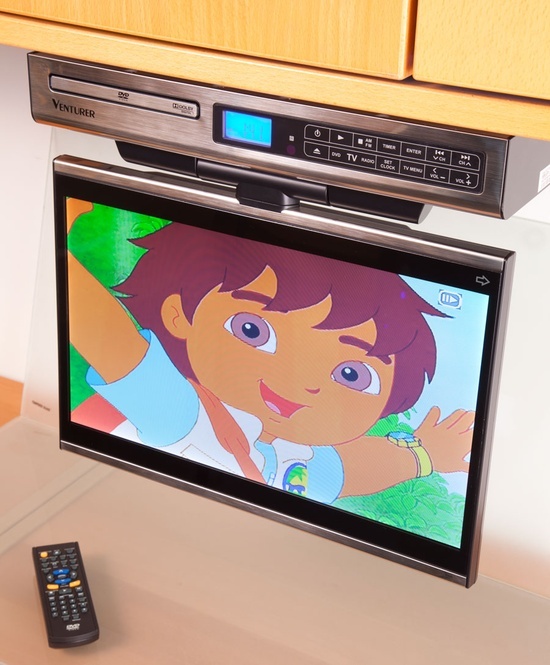 Cable and Satellite Ready – All of our under cabinet kitchen TV’s are designed to work with the entertainment your accustomed to and come equipped with an aux input to easily connect to your home’s cable network. 2.Built in Digital TV Tuner-If you do not have access to cable at home don’t worry, all of our under cabinet televisions televisions have a built in digital TV tuner to enjoy your favorite local channels. 3.Entertainment-All of our units are designed to be a kitchen entertainment media center as nearly all of our kitchen TV’s come with a built in DVD player and AM/FM radio receiver. Some kitchen TV’s like Venturer’s new KLR19132 are incorporating new technology like built in Wifi to stream music, movies and TV shows directly with the help of Netflix, Hulu, Pandora and Youtube apps. 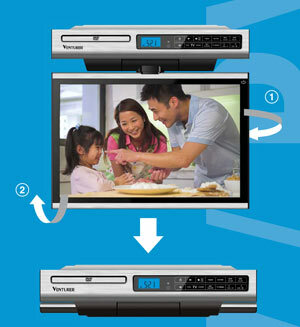 **For an additional $5 off any kitchen tv, type in coupon code: 5-bucks-kitchen-tv during the checkout process. 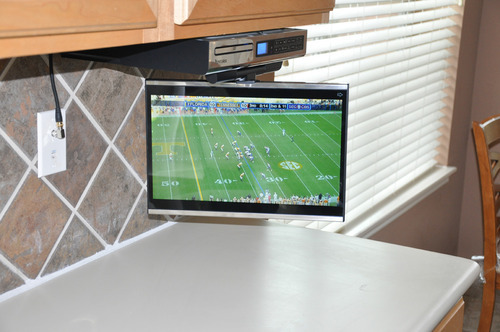 See more kitchen TV’s on pintrest! I see all of the under cabinet kitchen TVs are sold out. Do you have any idea when you will get some more in stock? I am very much interestd in buying one. Thank you for our assistance. Is there a phone number to call you?